There is an infectious quality to Andalucian culture and its influence has trickled through to cultures thousands of miles away. Flamenco dance has a large following in Japan, Iberian ham graces the kitchens of countless restaurants outside of Spain and the Moorish architecture seen here has inspired architects from all over the world. With so many towns and cities exhibiting different aspects of the Andalucian way of life, you may find it difficult to decide which one to visit to experience it at its best. But there are a few special places that encompass the true spirit of southern Spanish culture. Here are three of them. Seville is the capital of Andalucia and Flamenco has its origins here. The dance is an integral part of Andalusian culture, and no visit to this part of the world would be complete without seeing a performance that’s characterised by rhythmic foot stamping, hand clapping and triumphant swishing back and forth of heavily ruffled polka dot dresses. Countless bars, hotels and restaurants host performances all over the city. One of the popular venues in town is called Tablao Flamenco El Arenal, and it’s been hosting Flamenco dances for the past 25 years. Daily evening performances feature multiple sets with different dancers. A show with a drink costs €38, and a show with dinner thrown in is €60. Not content with just being a spectator? Go a step further by learning the dance. At Taller Flamenco, you can sign up for a week of lessons from €259 per week. You’ll get two hours of tuition from Monday to Friday and learn the basics, but if you’ve already been there and done that, intermediate courses are also on offer for you to hone your skills. Granada has one of the most recognisable Moorish palaces in Spain, and it’s also the largest and grandest. 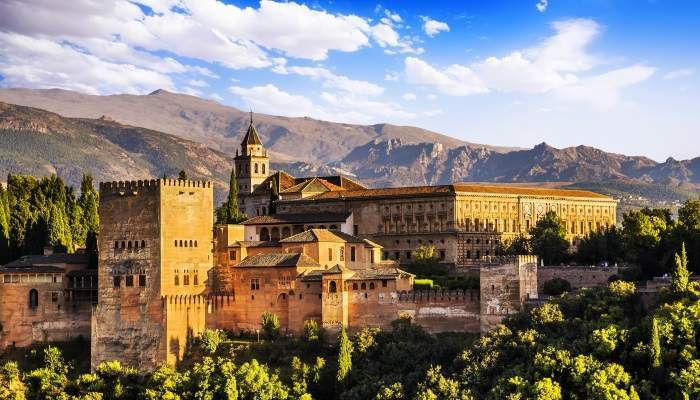 At 142,000 square metres, the Alhambra is hard to miss, especially at night when bright lights illuminate it and during cooler months when snowy mountain peaks serve as a dramatic backdrop. Granada is also one of the the only places in Spain where you can begin the day on the slopes and end it by showing off your goggle tan back at ground level. The Sierra Nevada mountain range is less than an hour’s drive from the centre of Granada and, in the winter, boasts beautifully smooth pistes. After a day of skiing you might find yourself eating paella in a restaurant overlooking the slopes. Flamenco music wafting out from bars may go some way in reminding you of your southern Spanish location, even if the presence of snow suggests otherwise. Another thing Granada should be proud of is its reputation for some of the best tapas in all of Andalucia, and it’s cheap to eat here – really cheap. In fact, in most bars, you’ll still get a free tapa dish with every drink you order, as is traditional. If you’re not much of a drinker, some delicious tapas can be found at El Arenal cafe, which offers various dishes featuring the likes of tenderloin and squid. 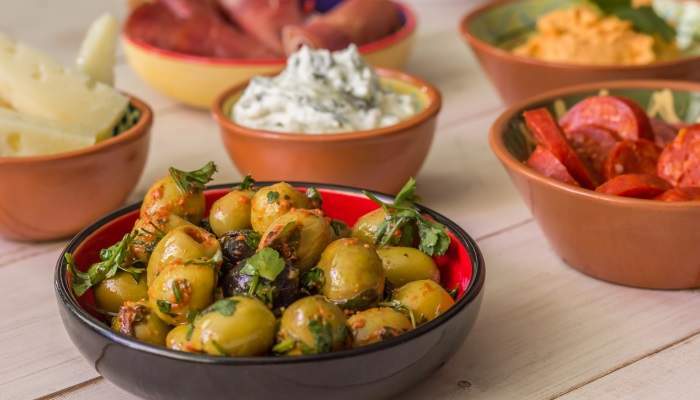 All you have to do is turn up and the dishes will keep on coming – you take what you’re given here, so it’s great if you’re one of those people who wastes hours reading through the menu. If there’s one thing we know about The people of Andalucia, it’s that they know how to party. In April, there’s the Feria de Abril in Seville and August brings the Feria de Agosto to Málaga. In fact, hardly a month goes by without some festival or other livening up the streets of one of the southern Spanish cities. 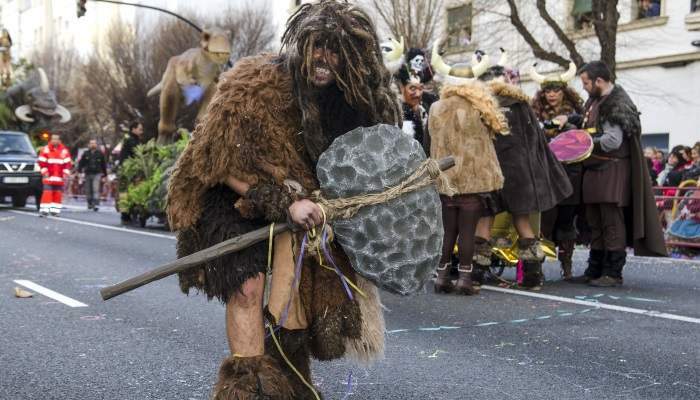 Cadiz hosts one of the most famous carnivals in the country which lasts two weeks around Shrove Tuesday. During this time, residents can be seen sauntering around in extravagant fancy dress and flourishes of entertainers roam the streets spouting comedy acts and musical performances. Among these performers are the Chirigotas who poke fun at current affairs and the Comparasas who show off their talent by singing popular numbers to exuberant crowds. If you want to be a part of it, the next carnival will take place during the first two weeks of February 2016.